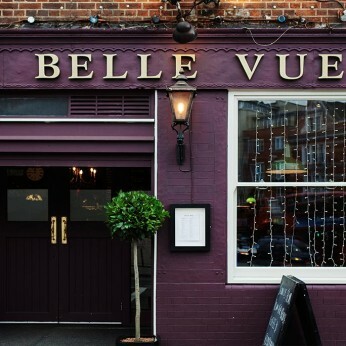 Nestled in the heart of Clapham Common, The Belle Vue is a cozy, intimate but lively venue offering home-infused spirits, hand-crafted cocktails, and wholesome, honest food. Situated right beside Clapham Common tube station, we’re a cozy but lively little venue offering some niche liquids and events you’d be hard pressed to find elsewhere locally. At the Belle-Vue, with our ever evolving selection of tasty world beers, we’re always keen to surprise you with something you haven’t tried before. We pride ourselves in having a constantly evolving selection of beers you’ve never heard of but are sure to fall in love with. Serving great seasonal and traditional pub dishes with a fresh twist we also have platters for large parties, great left field cuts of meat for Sunday sharer roasts and a top function space to hire for any occasion. So if you’ve got a thirst for some fun times then just get in touch, we’re all over it.